Electronic gambling devices are designed based on a deep understanding of human psychology and how to manipulate human behaviour. The psychological principles (such as a variable-ratio reward system) work on everybody, since the designers of the machines capitalize on understanding how the brain functions and how motivation and behaviour can be guided. This is done with no disclosure to the public as to the techniques used so that citizens are unable to make an informed choice about their involvement with these devices. Binde, P. (2009). Exploring the impact of gambling advertising: An interview study of problem gamblers. International Journal of Mental Health and Addiction,7(4), 541-554. Klein, S. (2006). The Science of Happiness: How Our Brains Make Us Happy–and what We Can Do to Get Happier. Da Capo Press. Spinella, M. (2003). 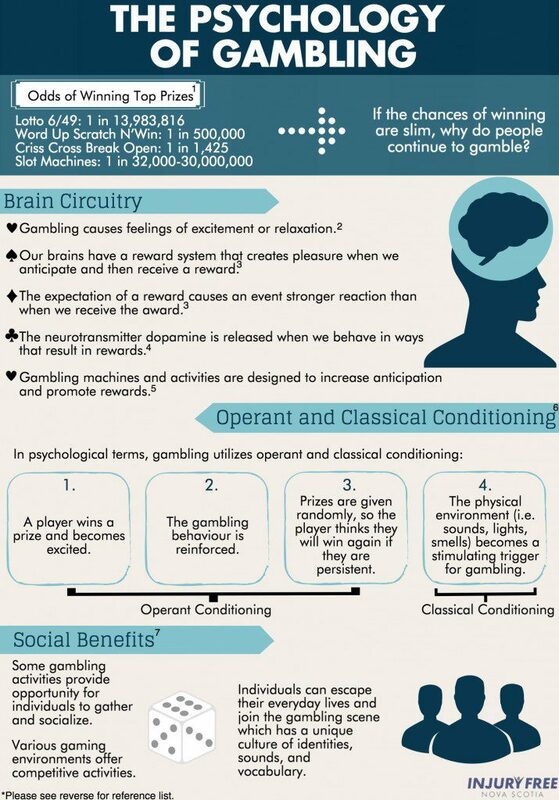 Evolutionary mismatch, neural reward circuits, and pathological gambling. International Journal of Neuroscience, 113(4), 503-512. Harrigan, K. A. (2007). Slot machine structural characteristics: Distorted player views of payback percentages. Journal of Gambling Issues, 20, 215-234. Binde, P. (2013). Why people gamble: A model with five motivational dimensions. 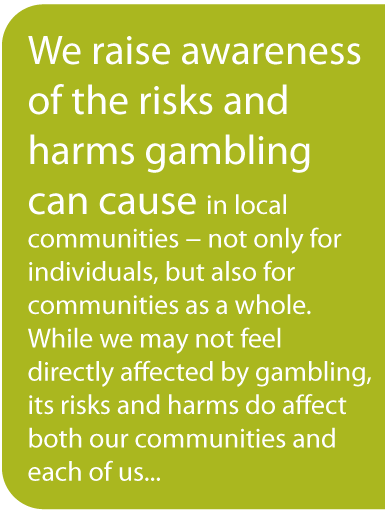 International Gambling Studies, 13(1), 81-97.